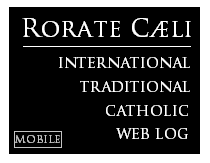 RORATE CÆLI: "Bergoglio’s latest insult to Ratzinger: the sacking of his personal physician"
"Bergoglio’s latest insult to Ratzinger: the sacking of his personal physician"
The chief physician who supported the canonization of Wojtyla is dismissed without prior notice. Before that the head of the Swiss Guards had been sacked too. This incident, which is not yet official, has already been made public in “ItaliaOggi” and might seem insignificant, but it has very important political implications inside Vatican walls. 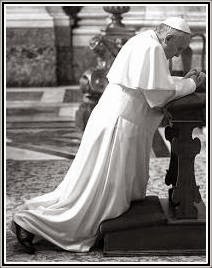 Since his very first remarks, Bergoglio has changed the direction of the papacy and “made numerous heads roll” [ with the aim of] radically modifying the apostolic line. Some of these, however, appear unjustified even in the eyes of Ratzinger himself. And the sacking of the chief physician, who has been the Director of Health and Hygiene Services in the Vatican City State since July 2010, is simply the latest in chronological terms. In 1986, it was the chief physician Renato Buzzonetti , who looked after Pope John Paul II until the very end, that wanted Polisca in the Vatican He was his right hand man for a long time. In any case Polisca assumed a pivoting role in Wojtyla’s canonization process by presiding over the scientific commission which recognized the miracle of healing obtained through prayers to the Polish Pope.